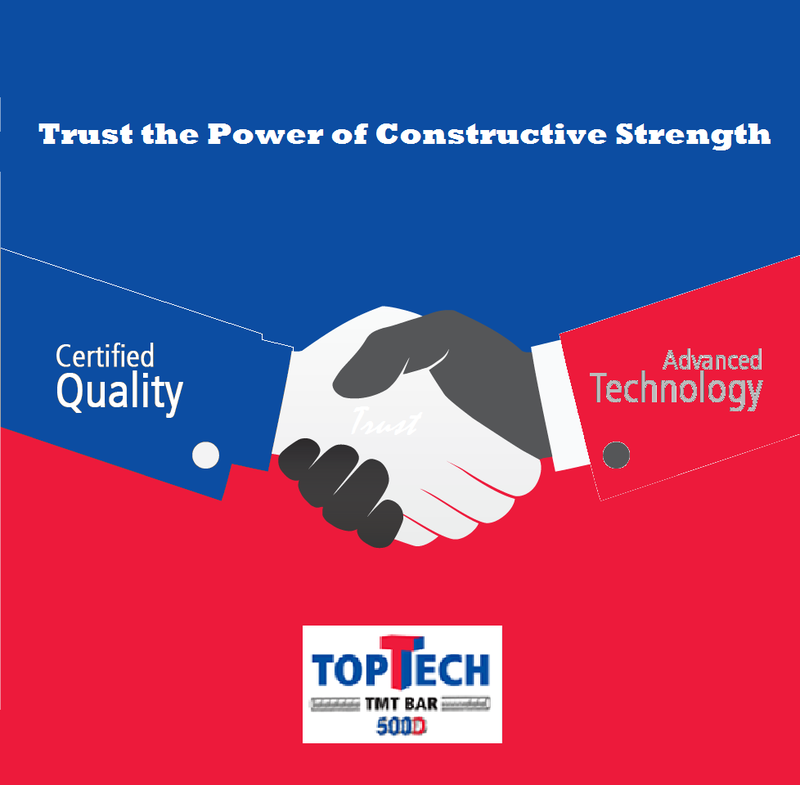 TopTech is a top company based in Kolkata, India that offers high quality raw materials for construction and manufacturing processes, such as TMT bars, sheets and coils. It has recently brought out new TempCore Certified TMT Bars, which promise greater strength and durability, and come at local prices. Find out why these bars are a greater improvement on older TMT bars, and stand as a better choice for construction and manufacturing purposes. The TEMPCORE Process was developed in Belgium by C.R.M sometime during the early years of the ‘70s. The concrete reinforced bars are manufactured from mild steel and are weld-able and high strength in form. These come without any Nb or V additions. The TEMPCORE Process is the most state of the art technology that is used for making very strong bars. The most sophisticated technique of thermo mechanical treatment (TMT) is used to provide bars with high strength. The process attempts to manufacture bars from concrete reinforcing bars and low C-Mn steel having superior mechanical properties. The bars constructed with this type of process come with amazing bendability, weldability and ductility. The newest technology is used in conformation to international standards of Belgium. Once the bars come out of the final mill stand, they are quickly cooled with the help of a short cooling installation. Once the quenching operation is ceased, the residual heat in the bar core tempers the surface layer. In the third stage, ambient temperature cools down the bar when it is placed on a cooling bed. There is high yield strength with high elongation, better corrosion resistance, higher bond strength, better resistance of fatigue and ease of use that results in less time for construction. TMT bars that are manufactured with the Tempcore process can help manufacturers to save steel by as much as 17% when compared to standard TMT. This is a cost-effective method of manufacturing and is superior in quality as well. The most high quality and high strength bars are manufactured, and it is possible to make the best TMT bars at the lowest rates. Expensive alloying elements such as Niobium and Vanadium that are used in conventional bars are substituted with low-cost materials. TopTech aims to offer these bars at very competitive rates, and it is continuously trying to upgrade its range of items in order to beat the competition. Naturally, there is demand for its bars in Bengal as well as in many other states of India. TopTech is offering high quality bars with amazing after sales service. The distribution network is efficient, and the company offers personalized service and support to clients with the aid of a team comprising of skilled engineers.